These needles fit a Midget, Pony, Triumph, Baby, Spencer, Muller 12, Reliable, Peerless Automatic, Ideal, Smith & Egge, Little Comfort, Princess, Linnea, F & W Automatic and Stitchwell. Also fit a Wilcox & Gibbs. 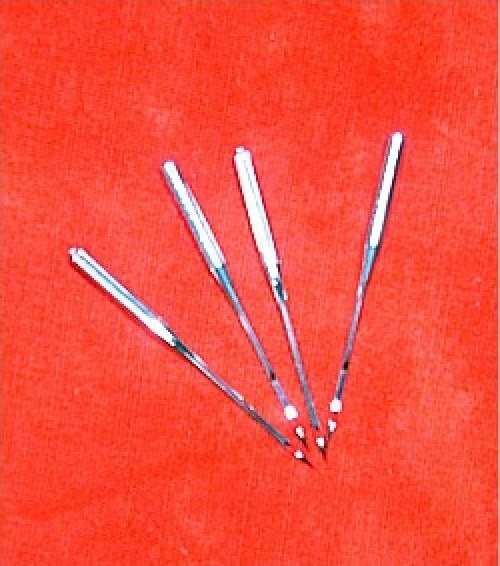 Even though the picture shows more than 2 needles, you will receive ONLY 2 Needles in the package for the $ 4.00 price. These needles DO NOT FIT A SINGER.